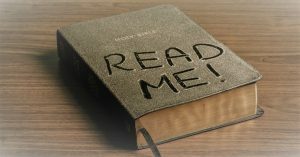 There was a notice outside a church which had a large picture of an open Bible, and written alongside were the words, ‘Go buy the Book … and then go by the Book!’ There is, of course, much to be said about how we make right use of the Bible and to interpret it but what is most important is that we read it! It is no good to us if we leave our Bibles unopened, gathering dust on the shelf. Essentially the Bible is narrative, a book of stories about God’s gracious dealings with individuals, people groups, and even nations, rather than a book of rules and regulations we are slavishly meant to follow. The old idea of God’s eternal plans and purposes being akin to some kind of overarching rainbow above us, which presented us with an idea of God as being wholly ‘other’ and distant from us, has been replaced by a more perceptive understanding of God’s eternal plans and purposes being more like a divine safety net undergirding us. Biblical history is to be seen as a kind of eternal time line of stories of God’s gracious dealings with humanity in which individuals, various people groups and nations have come to encounter God for themselves in a meaningful way. Their little stories have found a place in God’s big story, if you like. And when we read their stories in the Bible and see how they fit into God’s big story and how God dealt graciously with them, it encourages us not just to find parallels with their stories, but to see that our own particular story also fits into God’s big story and that we too may expect God to deal graciously with us if we allow him to shape and mould our destiny. A classic example of this, and one that also helps us with our understanding of how the Bible can enable us to find and follow God’s plan and purpose for our lives, is found in 2 Timothy 3:10-17, where Paul is writing to encourage his young protégé, Timothy. It is c.66/67 AD, Nero is the Roman Emperor, Paul is in prison in Rome, and Timothy (one of Paul’s Apostolic Team) is now the Senior Pastor of one of the largest and most influential churches in the Roman province of Asia Minor, the church in Ephesus. It is Timothy’s first pastoral charge, and he is having a number of problems with his church, not least because of his comparative youth and the fact that the Ephesian church contained a number of older people (older than Timothy that is), and a number of difficult people some of whom held some pretty unorthodox views. Timothy was obviously worried and anxious about everything, hence Paul’s advice in his previous letter that Timothy should ‘Stop drinking only water and use a little wine because of your stomach and your frequent illness’ [1 Timothy 5:23]. Paul writes to encourage him, ‘But as for you, continue in what you have learned and have become convinced of … the Holy Scriptures, which are able to make you wise for salvation through faith in Jesus Christ. All Scripture is God breathed and is useful for teaching rebuking, correcting and training in righteousness, so that all God’s people may be thoroughly equipped for every good work’ [2 Timothy 3:14-17]. So let us continue in what we have learned and become convinced of and get into the Scriptures like never before. If we want to know God’s encouragement, guidance and comfort, if we want to know more of his plans and purposes for our lives, know more of the power and inspiration of the Holy Spirit, receiving his revelation then go buy the book (if you haven’t already got one)… and then go by the book! Like many of us in our Fellowship, I love steam trains. We have a house in Bewdley in Worcestershire, one of the stops on the beautiful Severn Valley Railway which runs from Kidderminster to Bridgnorth. The sights, sounds and smells of these old engines transport us back to a golden, bygone era of steam travel. Every year they used to have, in common I am sure with other steam railways, Thomas the Tank weekends when the engines would sport the faces of this beloved fictional character and his friends. Perhaps the love of steam engines for some today even derives from their fascination with the stories of Thomas the Tank Engine (now called Thomas and Friends) written over seventy years ago by the Anglican vicar, Rev Wilbert Awdry for his two-year-old son. The stories have always been seen to uphold the traditional values of friendship, loyalty and resilience. Today, however, in certain quarters of social media, they are reviled as nasty, negatively competitive, sexist and a bad example. How times change! But change we must. Things do move on. 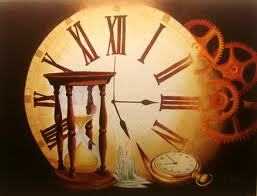 What was right for a certain point of time is not necessarily right for all time. When passengers get to the end of a train line, the shout goes up, ‘ALL CHANGE’ and everyone has to leave that particular train because it is not going any further and then get on another one. This is the same in the Christian life. 2 Corinthians 5:17 encourages us saying ‘Therefore, if anyone is in Christ, the new creation has come: the old has gone, the new has come!’ Or as the NLT puts it, ‘This means that anyone who belongs to Christ has become a new person. The old life is gone; a new life has begun.’ The word repentance in the Bible means to turn – to turn from our old, self-centred and self-absorbed way of life to the new Christ-centred, lived-for-others-life that God calls us into. We can though be somewhat fearful of change rather than embrace it wholeheartedly. We like things to stay the same. We like it that way because that is what we are used to. We feel more comfortable and safe. Catching a different train can be scary. In the Christian life, we can find ourselves spiritually speaking at a station waiting for a new train to take us in the direction God wants us to go. We wait and then a train rolls into the station. Should we get on it? Is it safe? Can we be sure that it is going where we want to go? Will we like where it takes us? So we hesitate. We don’t get on and the train leaves the station without us. So there we are waiting again. Will there be another train or have we missed our opportunity? May we not miss the opportunities God is placing before us as individuals and as a church. Let us not hesitate but get on the train when it comes into the station. You never know, according to God’s timetable, it might be the last one. C S Lewis, in his book Mere Christianity, suggests that ‘The moment we wake up each morning, all our wishes and hopes for the day rush at us like wild animals. And the first job each morning consists in shoving it all back; in listening to that other voice, taking that other point of view, letting that other, larger, stronger, quieter life come flowing in.’ Listening to God requires a deliberate choice to shut out the chaos around us and focus our thoughts on the one Person we really need to hear from. We live in a world of noise. Almost everywhere we go, we find sounds, voices, competing with our minds, keeping us from letting our thoughts get beyond the surface level. 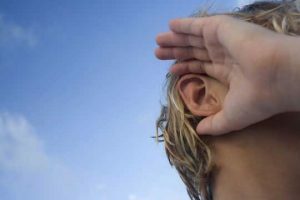 Hearing God’s voice means not listening to the noise of the world around us. It’s not easy, but it can be done. This is particularly important when it comes to discerning God’s will for our lives, and having an effective prayer life. It is also an essential ingredient in the art of waiting on God for his guidance. There are no short cuts. Most of us are not very good at listening full stop, leave alone listening to God. Is this possibly why God gave us two ears and only one mouth, so that we might do twice as much listening as speaking? The reason for consulting God, seeking to listen to him and discern his will is not because God is some kind of divine megalomaniac but because God knows best – ‘My thoughts are not your thoughts neither are your ways my ways, declares the Lord. As the heavens are higher than the earth so are my ways higher than your ways and my thoughts than your thoughts’ [Isaiah 55:8,9]. Putting it simply, God knows what’s best for us, certainly better than we know what’s best both for ourselves and for others. We need to listen to what he has to say to us. Discerning the will of God is a complicated subject and not one to be easily or quickly grasped. But while we are, hopefully, relaxing a little in the sunshine this summer, let us do so in the arms of God and listen to him. A good place to start is to lay our concerns and our questions before God and then simply listen and be open to what he may communicate. It may produce some interesting results. Your ears were tuned to earth’s discordant note and so … He went away. He came, and in His hand He had a task that He would have you do. But you were occupied with other things and so you missed that too. But earthly things enveloped, and you could not feel Him in that hour. When tears started trickling down the face of a statue of Jesus Christ at a Catholic church in Mumbai a few years ago, locals were quick to declare it a miracle. The Church of Our Lady of Velankanni became a site of pilgrimage and visitors began collecting the tears in bottles believing it to be holy water. Unfortunately it turned out that this miraculous phenomena was not so much a case of holy water as holey plumbing. The ‘tears’ trickling down the face of Christ were not because Jesus wept but because of clogged drainage pipes situated behind the statue! Sanal Edamaruku, the poor chap who discovered the real cause of the ‘miracle’ was accused of blasphemy, charged with offences that carry a three-year prison sentence and eventually, after receiving death threats, had to seek exile in Finland. Now we do not base our faith on such superstition or merely on our own ideas but on the Bible. Scripture does record various occasions when, during his incarnation, Jesus did weep. The most well know occasion, of course, is that especially associated with the actual phrase ‘Jesus wept’ (John 13:5) – a phrase famous for being the shortest verse in the King James Version of the Bible – Jesus’ response to the sad news of the death of his friend Lazarus. There was also another occasion more relevant for this time of year and appropriate to the narrative of the Holy Week. Holy Week begins with what is known as the Triumphal Entry of Jesus into Jerusalem. Luke tells us that a few days before his arrest, trial, and crucifixion, Jesus entered Jerusalem riding on a donkey – the sign of a King entering a conquered city in peace – to be met with a rapturous welcome by the inhabitants of the city (Luke 19:28-40). We tend to concentrate on the meaning and significance of this triumphal entry. Consequently, all too often we miss a very significant occurrence. As Jesus comes over the brow of the Mount of Olives, he sees Jerusalem spread out before him and he weeps over it! (Luke 19:41). On several occasions, Jim and I have stood on the Mount of Olives and looked out over the city of Jerusalem. It is one of the most wonderful sights to be seen. Every time we see it, it takes our breath away and brings tears to our eyes – so much history, so much pain even today! But this is as nothing compared to what Jesus felt as he too looked over Jerusalem that first Palm Sunday … and wept! The word ‘wept’ here is a very strong word in Greek (the language of the New Testament). It literally means ‘the heaving of the breast’ or ‘the sob and cry of someone in agony of soul’. Jesus was clearly deeply, deeply moved by the sight of the city. Why was this so? Jesus burst into sobbing at the sight of Jerusalem because in that moment he foresaw both the immediate response of the people of Jerusalem to his arrival – their rejection of him as God’s Messiah – and the eventual destruction of the city by Rome in AD 70 (Luke 19:42-44). Jesus lamented both the horrendous lost opportunity for the city, and the inevitable tragedy that would ultimately befall them as a result. 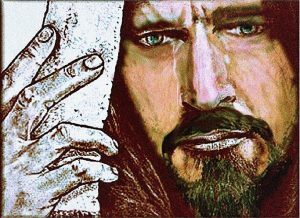 Jesus’ tears were not angry tears but tears of compassion for a city, for a people to whom God’s Messiah, the Saviour of the world, was revealing himself in a unique way and because he saw that they would completely miss this God-given opportunity. They would fail to recognise Jesus for who he truly was. In rejecting God’s way of peace, and picking an unwinnable fight with Rome instead, meant that the destruction of the city was inevitable. Jesus sadly concludes that all this was to happen ‘because you did not recognise the time of God’s coming to you’ (Luke 19:44)! As we approach this Easter season, let us not be guilty of failing to recognise who Jesus is – the Son of God who died for us. And let us not miss the opportunity God is laying before us as a Church to truly be ‘Caring Christians at the heart of the Community’. Ruined sinners to reclaim! Hallelujah! What a Saviour! We live in a world (at least here in the West) where we are ‘driven’ by an ‘ought-ness’ (‘I ought to do this’ or ‘I ought to do that’) which is imposed upon us by others (in society or at work or school or college, etc.) and even on ourselves by ourselves. Everything seems to have to be ‘instant’ these days … not just our coffee!? Even in church, especially in Evangelical circles sadly, we can be guilty of this sort of thinking. Two of the most popular Christian best-sellers in recent years have (unwittingly) added to this with the publication of Rick Warren’s The Purpose Driven Church and The Purpose Driven Life (despite the fact that Holy Spirit leads rather than drives us). Contrast this with Jesus’ teaching in Matthew 6:25-34 on the importance of living one day at a time instead of feeling guilty about not having done things correctly in the past or worrying about what further troubles tomorrow might bring! Jesus suggests here that coping with just one day at a time is about as much as any of us can handle. In the New Year, we will be looking at this wonderful ‘Sermon’ Jesus preached, recorded in Matthew 5-7. We will be calling this Series ‘Lessons for Life’ because here in these chapters are some wonderful principles that will enable us to live life to the full in a way that glorifies God, blesses others, and enables us to ‘grow in grace and the knowledge of Jesus Christ’ (2 Peter 3:18). At the beginning of this New Year, however, perhaps we can simply concentrate on just one of those principles Jesus outlines in his ‘Sermon’ – the wisdom of seeking to live life one day at a time (rather than worrying about either the past or the future). One of my favourite devotional writers, A W Tozer, suggests that ‘God never hurries. There are no deadlines against which he must work. Only to know this is to quiet our spirits and relax our nerves!’ Jesus himself ‘practised what he preached’. Again, and again, in the Gospels, we find him deliberately ‘taking time out’ to rest and pray – particularly prior to all the main events of his life – and the overall sense we have of Jesus is that of someone who never seems to ‘hurried’ along by anything. In much the same way, then, we too need to take a leaf out of Jesus’ book and recognise that our sole (soul?) requirement in life is simply to ‘keep in step with the Spirit’ (Galatians 5:25). Recognising, as Tozer suggests, that ‘God never hurries. There are no deadlines against which he must work … to know this is to quiet our spirits and relax our nerves!’ So, here’s to a peaceful, unhurried, relaxed … and productive New Year for us all! Wallace Purling was nine years old but already a year or two behind the rest of the children in his school. Most people in the village knew that he ‘had difficulty keeping up’. He was big and clumsy, slow in movement and mind. Some unkind kids at his school called him ‘a right Wally’ behind his back – never to his face because he was rather big. Wallace was well-liked by the vast majority of children, however, although some of the boys had difficulty hiding their irritation when he asked to join in their ball games. More often than not they would contrive a way to keep him out, but Wallace would hang around anyway, just hoping that someone would want him on their team. Wallace was a helpful boy, happy and willing, the natural protector of the underdog. When the younger or smaller children felt threatened, or anyone felt lonely and needed someone to talk to, Wallace was the one they all went to. When Christmas came around that year Wallace rather fancied the idea of being a shepherd with a flute in the School Nativity Play. The teacher in charge, however, assigned him a more important role. The Innkeeper did not have many lines, and Wallace’s size would make his refusal of lodging to Joseph more forceful. The usual large audience gather for the yearly extravaganza. Now, for the first time, Wallace the Innkeeper, looked down at Mary, instead of simply looking straight ahead. There was a long pause – long enough to make the audience tense with embarrassment. “No! Go away!” whispered the prompter from the wings. “No! Go away!’ whispered Wallace, hesitantly, in response to the prompting. Joseph sadly placed his arm round Mary. Mary laid her head upon her husband’s shoulder. And the two of them started to move away. Wallace stood in the doorway of the Inn, watching the forlorn couple. His mouth was open, his brow creased with concern, his eyes filling unmistakably with tears. And suddenly this Christmas Nativity became different from all others. “Don’t go, Joseph!” Wallace called out. “Bring Mary back!” Wallace Purling broke into a bright smile as the idea that had been slowly forming in his mind became clear. “You can have my room!” A few people thought that the Nativity Play had been ruined. Most considered it to have been the best Nativity Play they had ever seen! At the heart of the Christian message is Good News! When the angels announced the birth of Jesus to the shepherds 2,000+ years ago, they did so by saying: “Do not be afraid. I bring you good news that will cause great joy for all the people” (Luke 2:10). It is Good News because the Child born in Bethlehem’s Manger all those years ago was none other than ‘Immanuel – God with us’ (Matthew 1:23), ‘Jesus – because he will save his people from their sins’ (Matthew 1:21)! Here is truth that can truly bring joy to the hearts of all because it is a message of hope for the hopeless. It reveals a God who is not just ‘up there, out there, distant from us’ but One who has come among us in the Person of Jesus Christ. If we want to know what God is really like, all we have to do is look to Jesus! This ‘Good News’ however, needs to ‘embodied’ by those of us who profess to be Christians. Like Wallace Purling we need to share the Good News of Jesus with smiles on our faces, an openness of heart to all and sundry … and maybe with a tear or two of compassion for the multitudes that seem to go through life, many of them broken and hurting, ignorant of this wonderful Good News to be found in Jesus! So, as we look to the New Year, may we, in Christ, more than ever before, be Good News for others! Who doesn’t love summer (apart from the people who get hayfever?). The warm long days of sunshine (and rain), people out and about more, no more huddling inside or wrapped up against the cold. Then there are all the great summer sporting events – Euro 2016, Wimbledon (my favourite), the test matches, the Olympics in Rio. Summer really is a great idea. A God idea even. CPO (Christian Publishing & Outreach) have produced some material for this summer entitled Summer: A great time to reach your Neighbours (Matthew 22:39). Already this summer, Jim and I have had great conversations with the people who live next door over the garden fence. Let us pray for more opportunities as we all get out and about this summer. This is especially the case with our involvement, as a church, in the two main local events of the summer namely the Bisley Strawberry Fayre (June 26″‘) and Knaphill Village Show (July 16‘”). These are great opportunities to be seen as Christians and as a church in the community, to show God’s love, to answer questions about Jesus, to share the good news of the Gospel, to raise our profile in the villages and to offer prayer and a listening ear. But what is our motivation for this? Why would we want to do this? We looked at our last church meeting at the ‘Great Commission’ to ‘go and make disciples’ (Matthew 28:19). But we also need to hear Jesus’ ‘Great Commandment’ from Matthew 22:34-40. What is important in whatever method of evangelism we employ – either as individuals or as a church – is that genuine love and friendship for others must be at the heart of all we do! There are over 600 commands in the Old Testament law. Jesus took all 613 commands and condensed them down to just two. Just two! ‘Love the Lord your God with all your heart, and with all your soul, and with all your mind… [and] love your neighbour as yourself’ (Matthew 22:37-39). Love is our motivation, love for God and love for people. By ‘neighbour’ Jesus meant ‘everyone we rub shoulders with’. May we all rub shoulders with all sorts people, in all sorts of different situations as we get out and about this summer. ‘The Great Commission’ plus ‘The Great Commandment’ equals a season of fruitfulness and blessing from God. Summer really is a God idea! Pentecost Sunday is that day in the Church Calendar when we Christians celebrate that first great outpouring of the Holy Spirit upon the gathered church community in the Upper Room in Jerusalem, 2.000 years ago. Luke tells us that ‘When the day of Pentecost came, they were all together in one place. Suddenly a sound like the blowing of a violent wind came from heaven and filled the whole house where they were sitting. They saw what seemed to be tongues of fire that separated and came to rest on each of them. All of them were filled with the Holy Spirit and began to speak in other tongues as the Spirit enabled them’ (Acts 2:1-4). ‘Suddenly’, Luke tells us, the Spirit of God came upon the gathered church – and his coming was accompanied by three supernatural signs – a sound, a sight, and strange speech! Firstly, there came from heaven ‘a sound like the blowing of a violent wind’ and the noise ‘filled the whole house where they were sitting’(Acts 2:2). Secondly, there appeared visibly to them ‘what seemed to be tongues of fire that separated and came to rest on each of them’ (Acts 2:3) as an individual possession. And thirdly, ‘all of them were filled with the Holy Spirit and began to speak in other tongues (that is, languages of some kind) as the Spirit enabled them’ (Acts 2:4). These three experiences seemed like natural phenomena – wind, fire, and speech – yet, in reality, they were supernatural phenomena both in origin and character. The noise was not wind, but sounded like it! The sight was not fire, but resembled it! And the speech was in languages which were not ordinary but in some way ‘other’! Their higher senses were affected in that they heard the wind-like sound, saw the fire-like flames, and spoke the ‘other’ languages! And yet what they experienced was far more than merely sensory – it was significant! These three signs represented a new era of the Spirit of God that had begun and the new work he had come to do. The noise like wind symbolised the power that Jesus had promised every believer for victorious Christian living and effective witness (Luke 24:49; Acts 1:8). The sight like fire symbolised the purity – like the live coal cleansed Isaiah (Isaiah 6:6,7) – that marks the believer out as being different to those who live according to the ways of the world. And the speech in other languages symbolises the universality of the Christian Church – the fact that the Gospel is for everyone and anyone – effective for the salvation of all who dare to believe (Romans 1:16)! How we need to recover these wonderful truths today – not just academically but more importantly, experientially! It has become popular, in recent years, for local Christian churches to ‘get together’ ecumenically on Pentecost Sunday to demonstrate their unity and celebrate the ‘birthday of the Church’. Now it is good for local churches to demonstrate the fact the we are ‘one in Christ’, and take the Gospel out on to the streets! At the same time, however, it feels like we are ‘missing a trick or two’ here! Pentecost is all about the ‘empowering’ of the Church so that we might be an effective force for God in this needy world. It is even questionable theologically to even speak of the Day of Pentecost as the ‘birthday of the Church’? The coming into being of the Church as the people of God is a far more complicated matter, and certainly many of the Early Church Fathers believed that the Church came into being before the creation of the world. To focus too much on Pentecost as the ‘birthday of the Church’ is a bit of a distraction. We need to get back to all that it means for us, as Christians, to be truly ‘baptised (or filled) with the Holy Spirit’ (Acts 1:4,5; 2:4). What would be more profitable would be for churches to get down and spend serious time in prayer, waiting on God, for him to pour out his Spirit upon us afresh! We cannot live on yesterday’s manna or on how God blessed the church in the past. We need to be seeking God for a new anointing of his Spirit for today. We desperately need the fire to fall again upon us if we are going to make a difference and impact this broken and hurting and needy world we live in! As we move through Lent into Holy Week and then into Easter then on into Pentecost, may this be our constant aim – to carry on the life of Christ! To make an impact as Church these days we need to recover what it truly means, as Christians, to be an ‘Easter people living in a Good Friday world.’ This phrase was first coined by Barbara Johnson in her devotional book, Splashes of Joy in the Cesspools of Life, and she should know. There was sorrow and tragedy connected to each of her three sons, her husband endured a long recovery from a near-fatal car accident, and she fought cancer for six years before succumbing in 2007. She persevered through her life’s difficulties with faith and a strong sense of humour. A good example of the need to ‘Not take ourselves too seriously, but take God seriously’ (From Micah 6:8 The Message) which has been our theme for Lent this year. As Christians we are indeed an Easter people! We live this side of the historic and significant events of that first Easter. Christ has died, and Christ has risen! As a result everything has been changed, for all time. A power has been released into the world sufficient to change everything, to change all of us, for the better! The Bible implies, in a number of places, that it was through the power of the Holy Spirit that God raised Jesus from the dead, and goes on to tell us that this same power also abides in us as believers. Thus the Apostle Paul, writing to the Church in Rome, tells us that ‘if the Spirit of him who raised Jesus from the dead is living in you, he who raised Christ from the dead will also give life to your mortal bodies because of his Spirit who lives in you’ (Romans 8:11). Jesus himself promised us that we would ‘receive power when the Holy Spirit comes on you’ (Acts 1:8). Power to live victoriously and to witness effectively! Indeed the Apostle Peter tells us that ‘[God’s] divine power has [already] given us everything we need in order to live a godly life through our knowledge of him who called us by his own glory and godliness’ (2 Peter 1:3). We need to be who we are in God … an Easter people! As Christians, however, we live in a Good Friday world! In many ways that which Jesus endured and experienced that first Good Friday perfectly portrays the kind of world we live in: the brokenness, the suffering, the pain, the hurting, the rebellion, the deceit, the sin, the unfairness, the victimisation, and so on. This world, in many ways, is a beautiful place. We understand, to some degree, what God meant when, following the various acts of creation, when he stood back and looked at it and ‘saw all that he had made, and it was very good’ (Genesis 1:31). There are many wonderful people in this world – kind people, caring people, loving people, people who like Jesus himself ‘go around doing good’ (Acts 10:38). But even the best of us are sinners who need a Saviour. There are literally millions of broken, hurting and needy people out there who really need to hear the Good News we have as Christians, and experience the power of God to change lives for the better for themselves! We live in Good Friday world! My elderly mother often breaks out in spontaneous song (not always at the most opportune moments!) when she suddenly remembers one of her old favourites. One of these is the old song ‘Ac-Cent-Tchu-Ate the Positive’. The music was written by Harold Arlen and the lyrics by Johnny Mercer, and it was published in 1944 towards the end of the war. It was sung in the style of a sermon, and suggests that ‘accentuating the positive’ is the key to happiness. Describing his inspiration for the lyric, Mercer explained that he went to hear Father Divine (a popular preacher of the day who began life as a Baptist but eventually became very ‘odd ball’). Apparently Father Divine preached a sermon, when Mercer heard him, which included the phrase: ‘you got to accentuate the positive and eliminate the negative.’ Mercer’s response was, ‘Wow, that’s a colourful phrase!’ Mercer then went home and wrote a song about it … in which the words, ‘You’ve got to accentuate the positive, eliminate the negative, latch on to the affirmative’ form a recurring refrain. In the Church Year we are currently in the Season of Lent. Lent is the period of six weeks 40 days (not including Sundays) leading up to Easter (the most important festival in the Christian calendar). Lent starts on Ash Wednesday in western Christian Churches, and comes to its climax during Easter Week. The last week of Lent is called Holy Week. During the 40 days of Lent, Christians remember the time when Jesus went into the desert to fast and pray, following his baptism and before beginning his public ministry and ultimately fulfilling his divine purpose in taking human form – his sacrificial death on Calvary’s cross in order to redeem us from sin and its damming effects. During this time Jesus was severely tempted by Satan, but was able to resist (Luke 4:1-13). Lent is therefore seen, by many people, as a time for giving things up for a season. For Christians, it is one way of remembering the time Jesus’ fasted in the desert and is a test of self-discipline and self-denial. Traditionally there are certain foods that Christians do not eat in Lent such as meat and fish, fats, eggs, and milky foods. Some Christians just give up something they really enjoy such as cakes or chocolate or alcohol. In recent years, however, it has become popular to use the period of Lent as a kind of ‘spring board’ or ‘launch pad’ in order to ‘take on something’ and do something positive for God in the community or the wider world rather than ‘give up something’. Now in many ways, there is nothing wrong with ‘giving up things’ for Lent. It can be a helpful impetus to cut down on sugar or fatty foods. Some have found that ‘giving up smoking’ for example, initially during Lent, has enabled them to ‘break the habit’ completely. If, however, ‘giving up something for Lent’ is only done in order to ‘lose weight’ or ‘dry out’ etc. then we are in danger of ‘missing’ the whole ‘reason for the season’. This year at our church in Knaphill we have taken the theme of ‘Taking God Seriously’ for Lent. We have based the various sermons, small group studies, for this season on a verse from the Book of Micah where the Prophet exhorts his hearers (and us readers) with the words: ‘Don’t take yourself too seriously – take God seriously!’ (Micah 6:8 The Message). The 40 days of Lent are best used – and this is why we ‘fast’ or ‘abstain’ from certain other things that otherwise may distract us – as a prolonged period given over to prayer and meditation, thoughtfulness and (ultimately) possible decision-making, in which we seriously ponder the claims and call of Jesus Christ on our lives. The fruit of ‘taking God seriously’ over the period of Lent should not find its fulfilment in simply some kind of ‘short-term fix’ – losing a few pounds in weight (before putting them all on again) or giving up smoking just for a few weeks (before dicing with death once again) once Lent is over? The best way to use this period is to genuinely, prayerfully examine ourselves, our life-style and our purpose in life, in the light of Christ. With this new approach to Lent we seek to deliberately ‘take on things’ and do something positive for God each day. 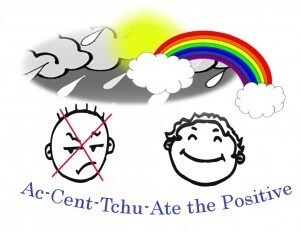 In other words, to ‘accentuate the positive’ and ‘latch on to the affirmative’ – rather than ‘give up something’ and just ‘eliminate the negative’. Disney’s animated movie The Lion King, portrays the struggle between good and evil through the adventures of a lion named Simba. Son of the lion king, Simba faces several challenges as he comes to terms with his royal heritage. In the opening scene, the long-awaited announcement of Simba’s birth is carried throughout the valleys and plateaus of Africa. Tribal drums and African chants herald the cub’s arrival. 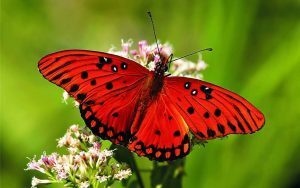 Elephants, gazelles, antelopes, vultures, zebras, giraffes, gulls, even tiny ants journey to receive the new royalty. They climb hills, descend sloping canyons, forge streams, and hike jungle paths. Once all the animals arrive in adoring reverence and praise, the infant cub is presented to the gathered subjects. Rafiki, the monkey elder, lifts the newborn high above his head to symbolize Simba’s exalted calling. 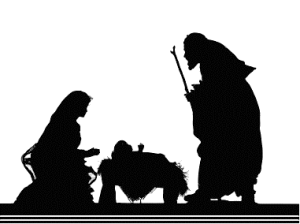 Symbolically, this is a grand picture of the Son of God, who came into the world as an infant and was exalted as king. The Feast of Epiphany in the Christian Calendar (held on the 6 January in the Western Church) celebrates the self-revelation of God the Son as a human being in the Person of Jesus Christ. In Western Christianity, the feast commemorates principally (but not solely) the visit of the Magi or Wise Men to the Christ child, bearing symbolic gifts of gold, frankincense, and myrrh. Epiphany (which comes from the New Testament Greek word epiphaneia meaning ‘a moment of sudden and great revelation or realization’, however, is not just one day in the Church Year but a whole season (lasting several weeks) between Christmas and Lent. This Season of Epiphany provides us with an opportunity to explore two particular themes that are right at the heart of the Christian Gospel. Firstly, genuine Christian experience is born of a work of God deep within us whereby he breathes new spiritual life into people who previously were spiritually dead as a result of sin. So, Jesus spends the whole night talking to Nicodemus (the leading Jewish theologian of the day, a man who knew a lot about God but who didn’t actually know God for himself) about the need to be ‘born again of the Holy Spirit (John 3:1-11). And, secondly, this ‘Good News’ (of what God has made possible for us in Christ) is for all people (not just for Jews). Thus Jesus commissions his disciples to ‘Go and preach the good news to all nations’ (Mark 16:15).